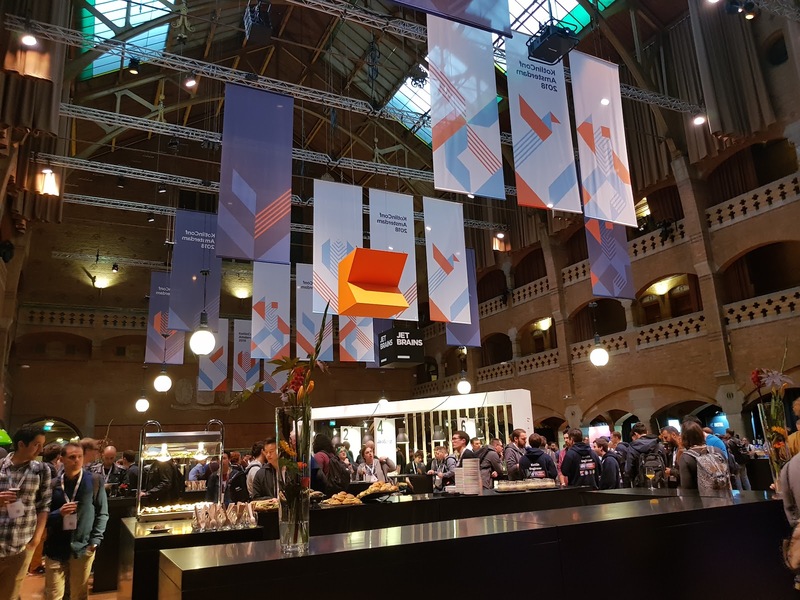 Being Kotlin enthusiasts and seeing how great 2017 KotlinConf talks were, when it was announced that the 2018 conference will take place in Amsterdam, we knew we must be there no matter what - we were not disappointed. 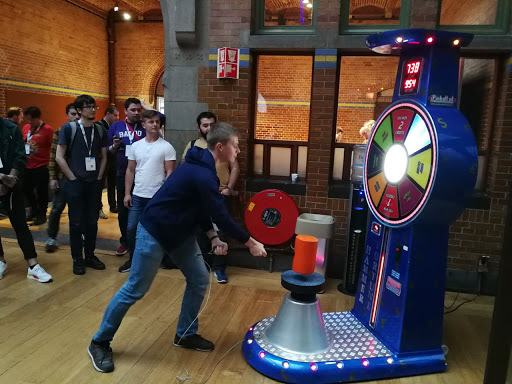 The organization, talks, party, live concert (yeah there was even live concert by Queen and Freddie Mercury was brought back to life), ability to network with other Kotlin devs, all were top notch - the quality you could expect from JetBrains. Together we decided to sum up all that happened during those two crazy days and collect the list of best talks that we had the chance to attend. Summary: Nice Conference Opening Keynote by Andrey Breslav. You can find there a lot of interesting information about how it started, Kotlin in numbers, incoming release, language evolution and plans for the future. 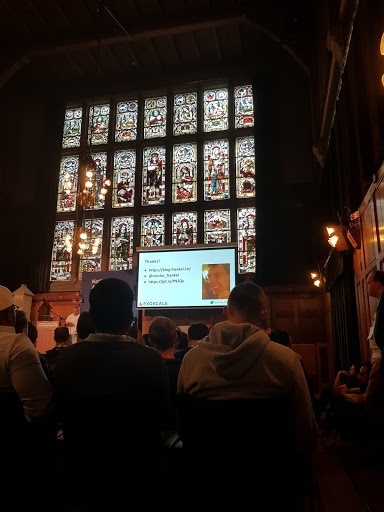 Summary: Great talk by Jake Wharton and Alec Strong about the new possibilities that Kotlin gave to the well know Android library - SQLDelight. In this talk, the authors talked about their approach to convert the library to support multiple platforms. Recommended for: Everyone interested in how multiplatform works in practice and especially SQLDelight library users. Summary: One of the best talk about coroutines and how they fit into Android by Chris Banes. The author is an engineer working at Google, this presentation is based on the knowledge gained while working on his open source project TIVI, that probably some Android devs might have already seen. Recommended for: Android devs interested in introducing Coroutines into their project. Summary: Really great talk by Zac Sweers. You can find out what is the @Metadata annotation and how it can help you to better understand Kotlin code during annotation processing, how we can get rid of reflection and replace it with codegen (Moshi case study) or how to generate Kotlin code using KotlinPoet. Summary: Felipe Lima, an engineer working at Airbnb, shares the knowledge gained while working over his pet project - Kotlin multiplatform NES emulator (wow). While the project still needs some care as it’s not fully functional on all the platforms, you can already gain some knowledge about how to architect such projects. Recommended for: Anyone interested in using Kotlin multiplatform capabilities. Summary: In this talk, you will see and learn if Christina’s mom money spent on college, actually did pay off ;) (it surely did in my opinion). Nice talk about how to represent the state in your code using possibilities that Kotlin gives you, and how definitely not to do it. Recommended for: I’d say beginners to intermediate, but Christina is such a great speaker that I would recommend watching it to anyone to learn and see how to execute a nice technical talk without making people sleepy. Summary: Really nice talk by Josh Skeen. A great introduction to Kotlin/Native based on an ascii aquarium project. It contains a lot of useful information, starting from environment configuration, through adding external libraries and implementing different features, to building application for a specific platform. Josh shows that Kotlin/Native is a very powerful tool and we definitely should try to use it! Summary: Nice introduction to Λrrow by Raúl Raja Martínez. In this talk, the author did a comprehensive walkthrough of the most important features of that library. The presentation contains a lot of code examples that show how we can enhance Kotlin code with Typed Functional Programming. Summary: In my opinion - one of the best talks at KotlinConf18. Roman Elizarov gives us a lot of useful tips of how we can use the new Kotlin Coroutines in practice. He showed us why we should care about them - we don’t have to worry about shared mutable state and synchronization. Moreover, we can easily communicate (transfer a stream of values) between different coroutines using Channels. Before that talk, I had many doubts when it comes to coroutines, but now I will try them for sure! Summary: The closing panel had a form of Q&A session, where the audience had the chance to ask any Kotlin-related questions to the JetBrains team and other Kotlin experts gathered live on stage. Some questions were tricky, some were touching the things that not everyone likes about Kotlin, and some did receive great applause. They were, definitely, not easy. KotlinConf 2018 was a great experience and we had lots of fun *pun intended*. We are looking forward to 2019 edition and ability to network with other Kotliners once again.